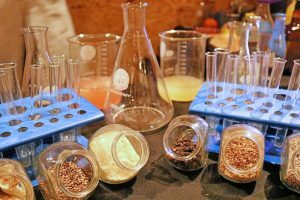 I was invited to come along to FarGo’s very own Independent Gin Mini-Festival on Saturday 24th March. I’ve always been a fan of FarGo and what it stands for as they support small growing businesses and put on a wide variety of events from vegan festivals to beer festivals. FarGo is so diverse which I am sure helped Coventry to win The UK City of Culture for 2021. I am looking forward to seeing what they have planned. When it comes to gin, of course I’m there! If you hadn’t already gathered, I am a HUGE lover of gin. This is something I’ve got into over the past year or so and now it’s almost always my alcoholic drink of choice. 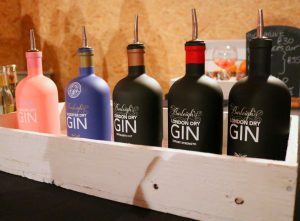 I loved the fact that this was an independent gin festival which showcased the best in gin surrounding the midlands area, opposed to the well known brands that we all know and love but get so used to drinking. 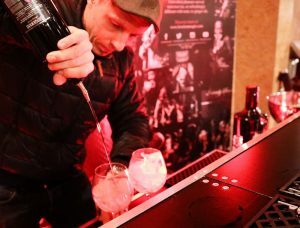 What was great about this festival, was that there was no pressure to be a gin connoisseur, it was totally chilled, relaxed and you could have a chat with everyone. First on my list to try was Burleigh’s Gin. I knew that the distillery is based in Loughborough, close to where I live, because a few of the local pubs sell Burleigh’s gin. I made sure I went for something totally new to me and tried the PINK edition gin. It contains Japanese cherry blossom, hibiscus, rose and pink grapefruit. It was served with a Fever-Tree aromatic tonic and a garnish of pink grapefruit. I really loved how delicately sweet and floral this gin was having not tried anything like this before. I then tried a (Minus) -33 gin cocktail which I think was called gin fizz. It was very citrus-y and oh so tasty! This gin is a botanical infused spirit that contains juniper, citrus, lavender and elderflower – a flavour combination I was a huge fan of! They had set up a cocktail station to look a bit like a laboratory which instantly attracted my eye, and everyone else’s it seemed as it was very popular! Next was the Shakespeare Distillery gin. I love that they are trying to recapture the Tudor period of innovation by fusing traditional and in some cases forgotten ingredients with modern techniques. I tried the Mulberry gin which is made by combining mulberries with Stratford Gin and leaving them to steep for a few months. It was served with prosecco and was utterly decadent with it’s very rich flavour. I am tempted to get myself a bottle as I love adding new flavours to my glass of bubbles! 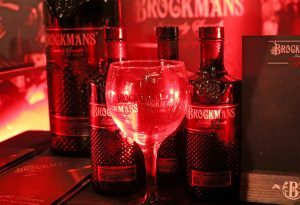 Brockman’s Gin was a favourite of mine from the evening. Traditional notes of gin are combined with citrus and aromatic wild berries such as blueberries and blackberries. It was so smooth to drink and had the most wonderful flavour. It was served with fresh orange peel which really brought out the flavours in the gin. I definitely recommend this gin. Lastly, I tried Sovereign Spirits, Elderflower and Gooseberry Liquer which was very syrup-y and sweet. That’s not to say I didn’t love it as it reminded me of elderflower cordial which I drink on a daily basis! It would be lovely to add this to a glass of sparkling wine. Overall, I think FarGo did a pretty good job at selecting such varied gin distilleries across the Midlands. 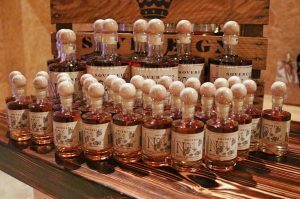 I was introduced to gins I had never heard of before and will definitely be supporting them over the bigger distilleries in the future. It was an evening filled with great chat, English culture and a hint of luxury. 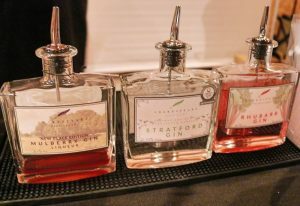 I will be talking about these gins for months!I also vlogged the event which you can view on my YouTube channel. A Cheesey weekend in the snow!